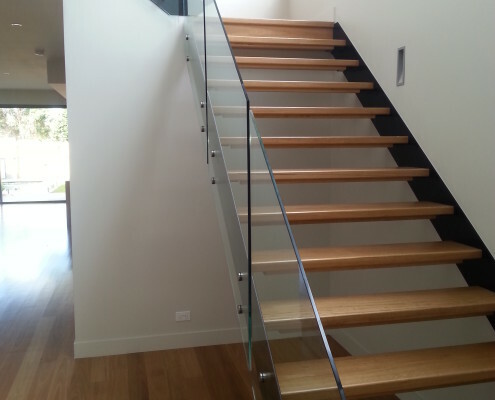 One of our team members will come to your home and help you design your unique custom staircase which will then be measured and made up in our factory. 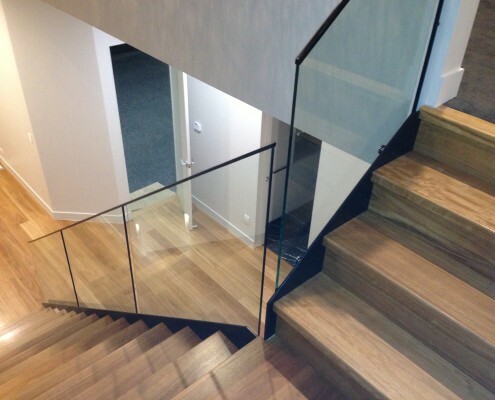 We use 12mm Toughened Glass that meets all Australian standards. 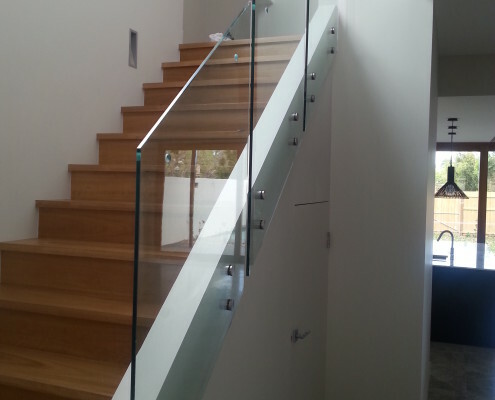 All toughened glass panels and gates are stamped with the Australian Standards logo for your piece of mind. Our Frameless Glass standoffs are manufactured from 316 Stainless Steel which have superior strength and corrosion resistance properties.